oh, so is this huge mass of sheep because your mod is autobreeding them? I thought it was because the millenaire villagers were breeding them but could not kill them. I don't believe BA is the cause of that, it has no autobreeding features. I'm not too familiar with millenaire, but they could possible recognise BA's sheep as "sheep" for breeding purposes, but they're set up to target vanilla sheep for killing instead of BA's, so its more than likely quirky mod interactions. hey i was curious is there any way to get the mobs to show up on journey map? awesome job btw! really? i guess i might need to start a new world. thank you for getting back to me! Ok, with more testing, I am getting both types, I think its not spawning the BA mobs in the Biomes O Plenty Biomes. 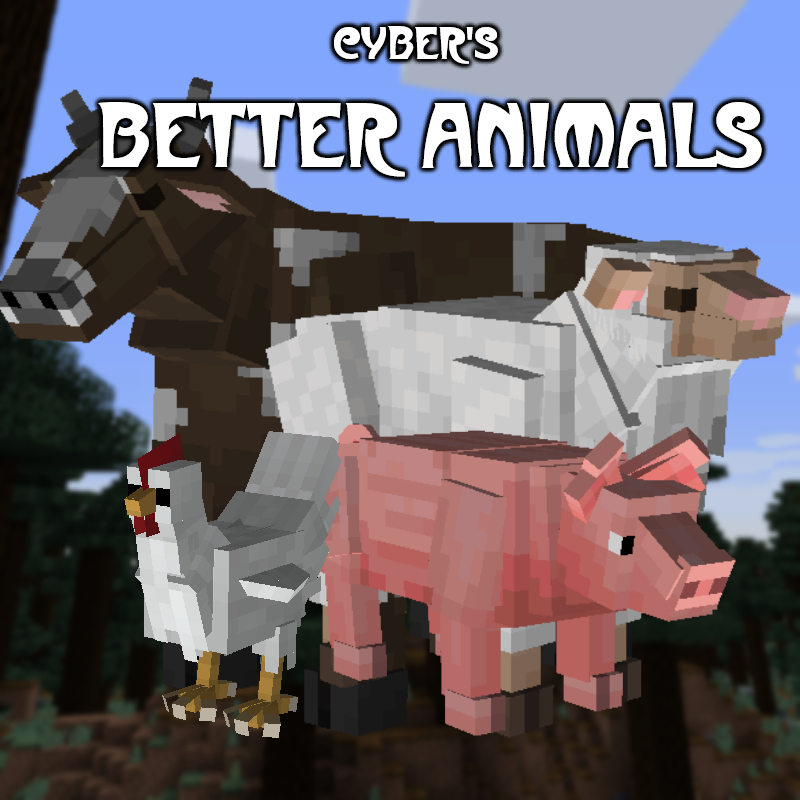 That's highly likely yes, since we originally just added the new animals to the vanilla biomes, I'll look into it. Please set up a github tracker and link it in your settings. When I create a fresh world, I get vanilla animals, I know BA is installed because there are BA spawn eggs. Welcomed addition. Animania or whatever it is just too overwhelming for what it does. This is a good alternative for those who don't want to raise potato animals. Hmm...., here's my thought about models. Chicken: them look fine to me. Cow: Somehow, they kinda look like a horse, or maybe them body aren't big enough. Pig: Same idea as cow, give them a bit plumper would be better. Yes, its still brand new. A few bugs need to be worked out and some new models will be added.